Head south out of Calgary. There are several routes you can take, but some of the secondary highways are worth a try as an alternative to the #2, with other small towns to explore along the way. 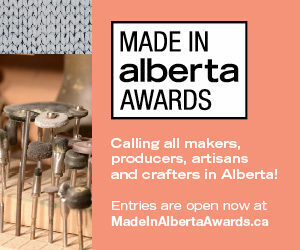 You’re aiming to reach the intersection of Hwy 23 and Hwy 534 for your first stop in Vulcan, AB. The Vulcan Tourism and Trek Station should be your first stop in town. The exterior is pleasantly minimalist. The inside is jam-packed with an impressive range of Star Trek merch for sale, including buttons, T-shirts, and patches, and staff who can direct you to the other Star Trek-related landmarks around town. They also have information about things to see and do on Planet Earth, specifically in the Vulcan area. You can even have your picture taken, in costume, beside cardboard cutouts of Star Trek characters. 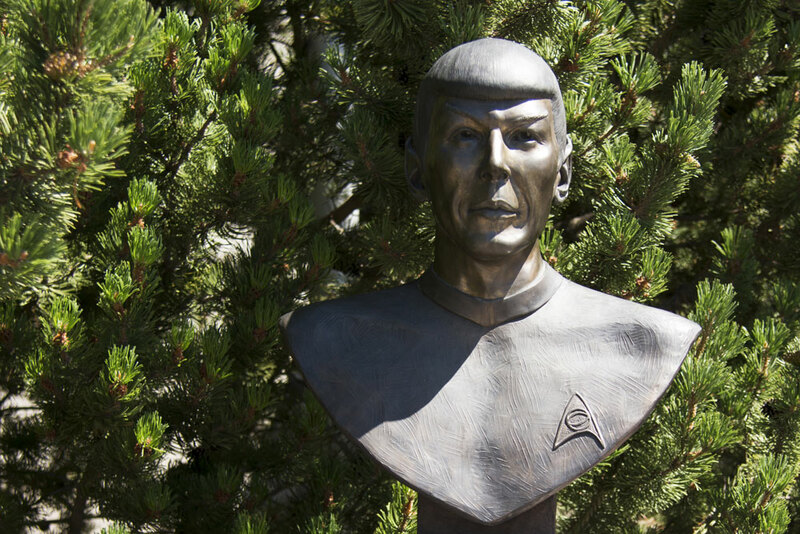 One stop on the Trekkie pilgrim route is the bronze bust of Spock dedicated to the late Leonard Nimoy. There is a cast of Nimoy’s handprint giving the Vulcan salute. It’s located at Centre Street and 2nd Avenue S. in Vulcan. 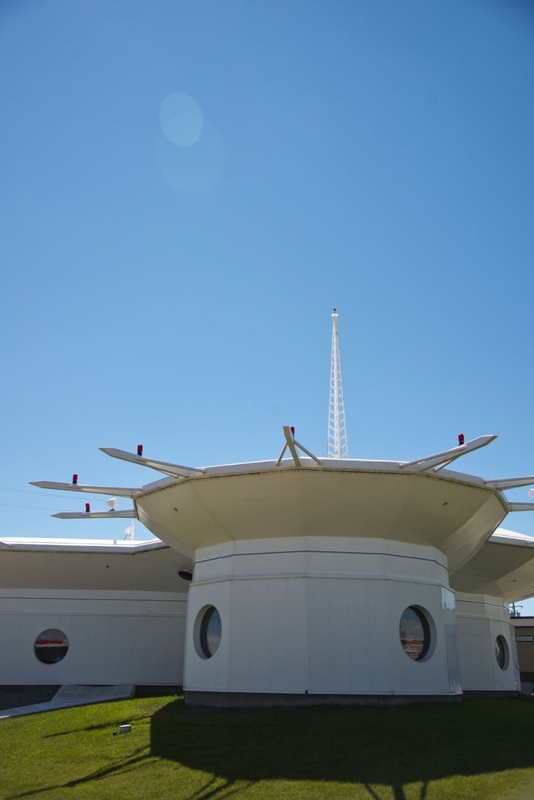 Vulcan has embraced the sci-fi associations that go along with sharing a name with a famous fictional planet, with Star Trek references to be seen all over the town. More science and less fiction though, are the many solar panels installed around town, most noticeably in the Vulcan Solar Park. 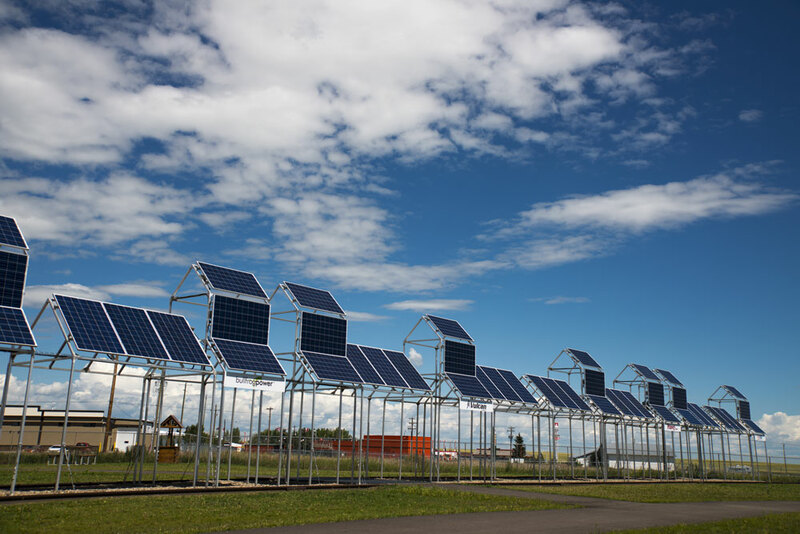 The panels in the park generate electricity that goes back in to the town’s grid, but also serves as a way to involve and educate the community and visitors about sources of renewable energy. Get back on Hwy 23 S. to drive on to Head-Smashed-In Buffalo Jump. At Monarch, turn east onto Hwy 3, then east on Hwy 785. 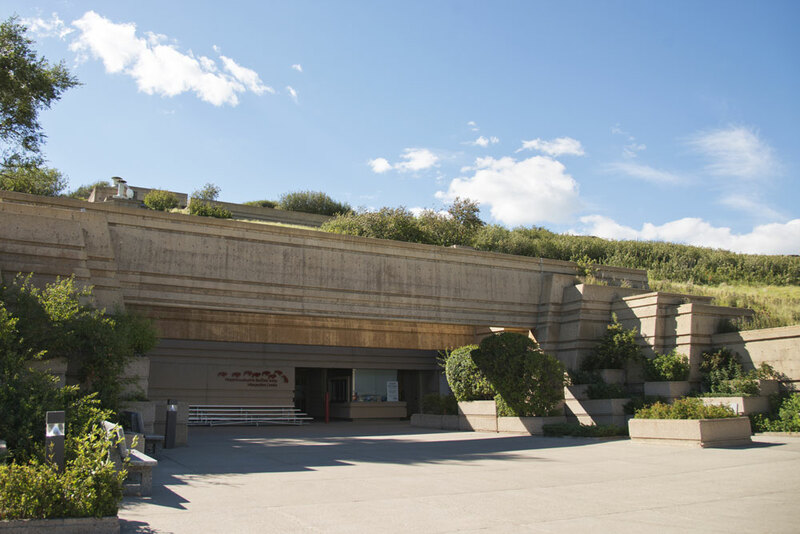 The interpretive centre at Head-Smashed-In Buffalo Jump was designed by architect Robert LeBlond. His Governor General’s Award-winning design was carefully built into the hill and is beautifully integrated into the surrounding landscape. A visit to the centre begins on the top floor. 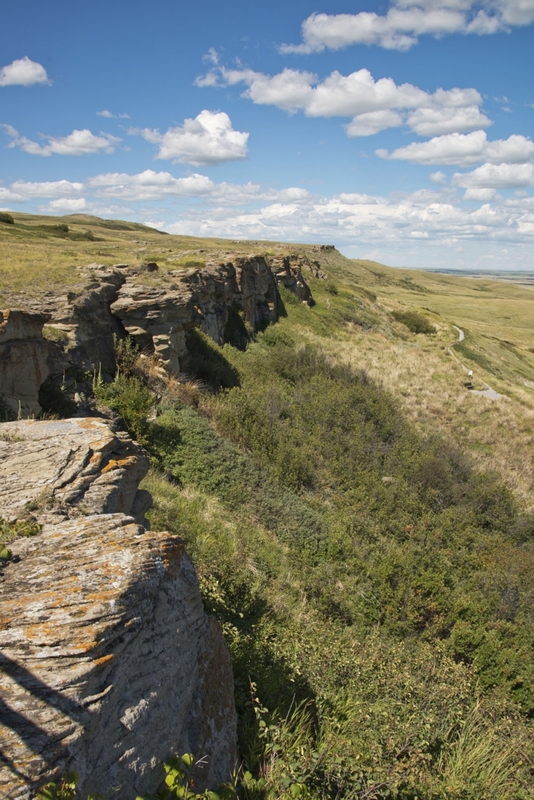 Head outdoors and take a short walk to see the cliff that was used as a buffalo jump by First Nations Plains people for some 6,000 years. Back inside the interpretive centre, work your way back down through five levels. The displays take you through the geological and cultural history of the area and explain the importance of the buffalo to the First Nations people who used the jump. Here, a Winter Count Buffalo Robe is shown. 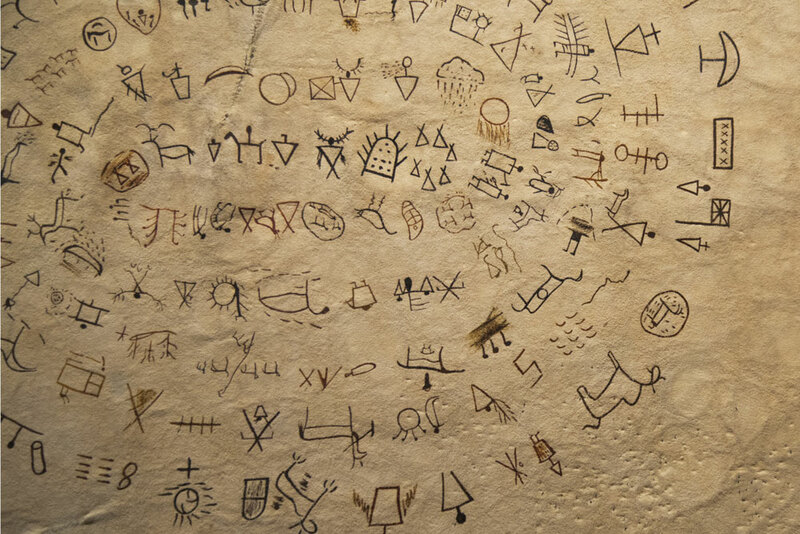 The owner would inscribe one notable event each year. This robe records events from 1764-1879. The exhibits are thoughtfully arranged. 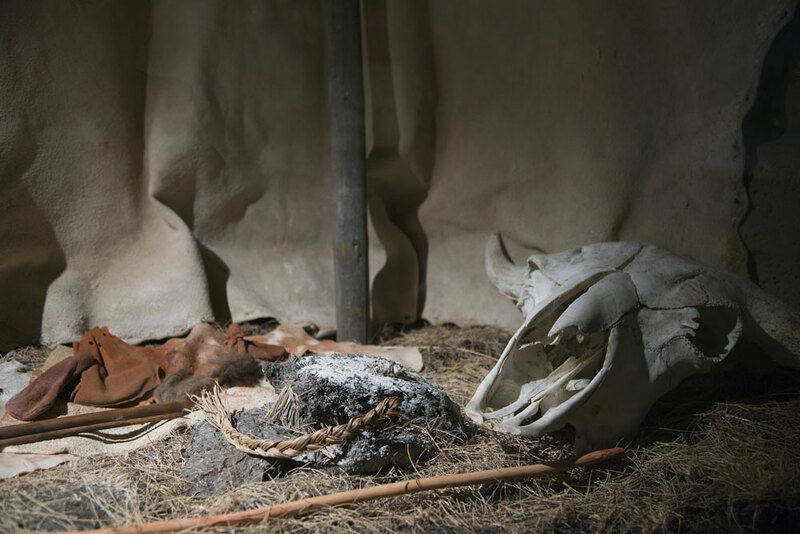 Artifacts are grouped to tell the story of the Plains people, and relate the intricacies of the buffalo hunt as it was practiced at Head-Smashed-In. The special cultural significance of Head-Smashed-In led to it being recognized as a UNESCO World Heritage Site in 1981. The devastating consequences of the arrival of Europeans are documented here as well. 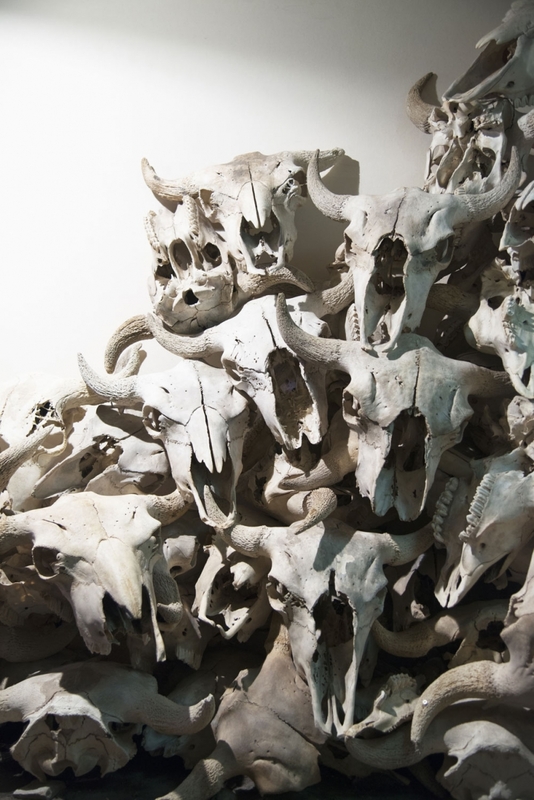 This pile of buffalo skulls is a sad reminder of the wasteful sport hunting carried out by Europeans that was in such stark contrast to the traditional First Nations hunt. 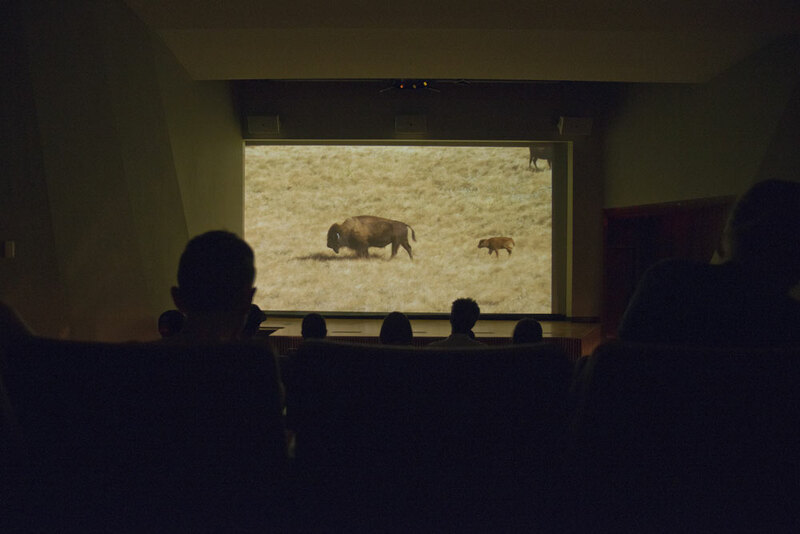 In the theatre, you can watch a short film featuring local First Nations actors who reenact the traditional buffalo jump hunt from start to finish, demonstrating the complex preparations that were carried out before a successful hunt. 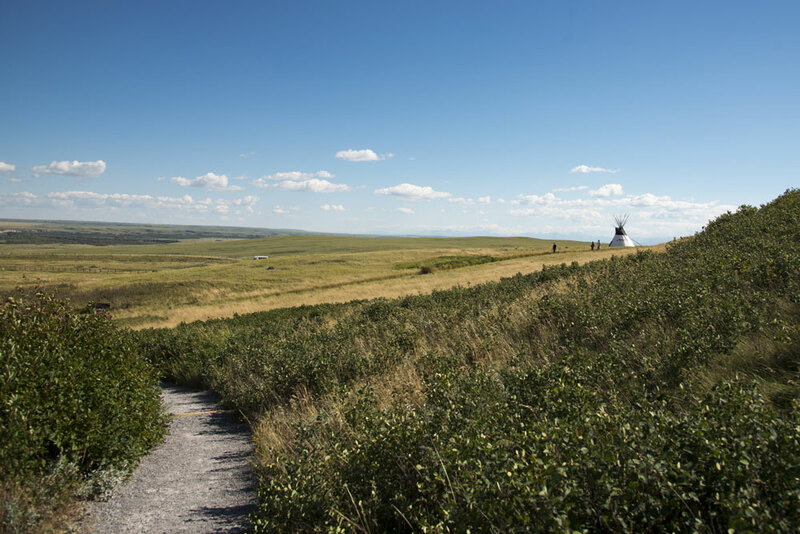 The landscape around the interpretive centre is stunning, and there are several longer hikes that you can go on to explore the area around the jump. Besides these self-guided walks, you can also sign up for guided hikes to the drive lanes (the paths that the buffalo were guided along on the way to the jump), see dancing and drumming performances in the plaza, and take part in lots of other special events throughout the year. See website for specific dates and to register.